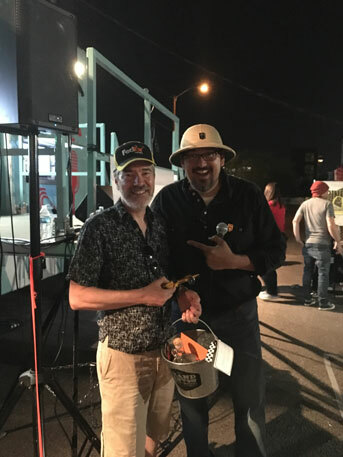 For for the first time I participated in the Pinewood Derby Classic held at Short Leash Hot Dogs in downtown Phoenix, Arizona. The event was a real hoot, with some beautiful cars and lots of fun people. 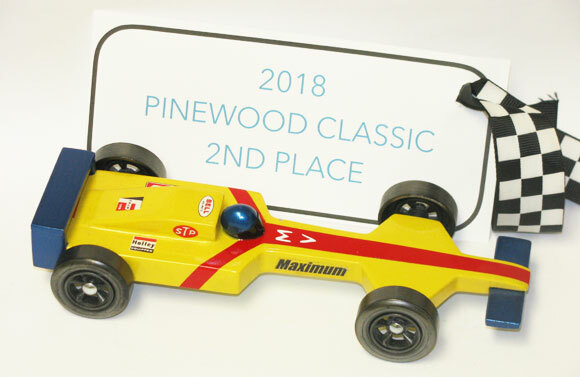 Not knowing how picky the inspection would be, I entered a standard wheelbase Formula One (our logo car), and was very pleased to finish in 2nd place behind an extended wheelbase beauty (the owner of which had won the previous year). My car managed to defeat several extended wheelbase cars, and eventually only lost by an inch in the final race. I already have a new design in mind for next year. I’ll post a more complete overview of the race at a later date.